I don't know about other music teachers, but picking program music has always been a big challenge for me. I probably do not do my program music in a very "Kodaly" way, but each year as my kids gain more literacy skills, I add more Kodaly influence to my programs and program prep. This may totally clash with your philosophy of what program music should be, and that's ok, but I believe that music to be performed by my upper elementary students in a program should be absolutely beautiful, expose students to reading from an octavo, and instill a love for choral music. Many of my students participate in area honor choirs and go on to sing in choir in middle school, so I want them to have experience reading and singing choral music, because it can be a bit overwhelming at first. I usually do not do "themed" programs for the purpose of selecting the very best repertoire possible for my kids. I want to focus specifically on selecting music for my fifth graders in this post. My first year teaching I came across the part by part selections on the Carl Fischer/ BriLee website. This has been a HUGE life saver for me when selecting, rehearsing, and performing. They have recordings available to download for free with a full recording, an accompaniment track, and tracks for each vocal part. I can give the website to my students and they can listen and sing along at home. It is also a huge help to be because I do not have an accompanist for class or the performance, so this enables us to perform quality literature without the cost of buying a performance CD. Click on the picture below to visit their website and click on the part by part section and select the voicing you would like. 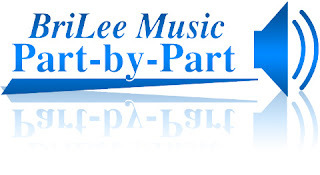 If you would like to expose your students to choral music, but do not have the funds for an accompanist or performance CDs for each song, I highly recommend checking out the options on Carl Fischer and BriLee. When selecting pieces I may try to connect with a folk song that we have done by finding an arrangement of that song, or selecting literature that has a tone set they can read, or rhythms that are accessible for reading. I do some rote teaching with my choral music, but my kids just are not at the point where they can read it yet, but I do not want them to miss the opportunity to experience it. This year I am also considering arranging some folk songs and adding Orff accompaniment, but that will involve moving about 20 Orff instruments to the high school where we perform. I will let you know what I end up doing. How do you select your music for performances? Are you able to go at it from a Kodaly approach? Also, for those of you who are secondary choral people, I'd love to hear your thoughts on selecting and teaching rep. for your choirs. 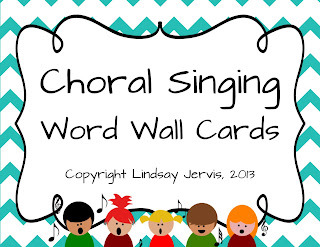 Don't miss out on my choral singing word wall. 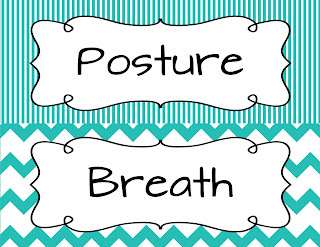 It will be FREE on my TPT page until 9/1/13! Thank you for introducing this site to me! Wow! Back to School Sale Extended!